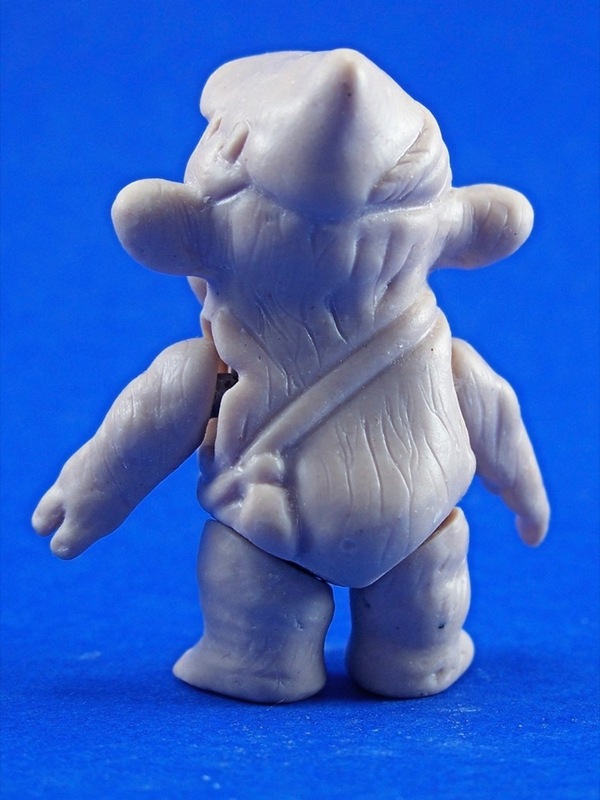 Although the Teebo released as part of the Return of the Jedi line wore a helmet made from a slain pig, his namesake from the animated series was anything but a tough customer. 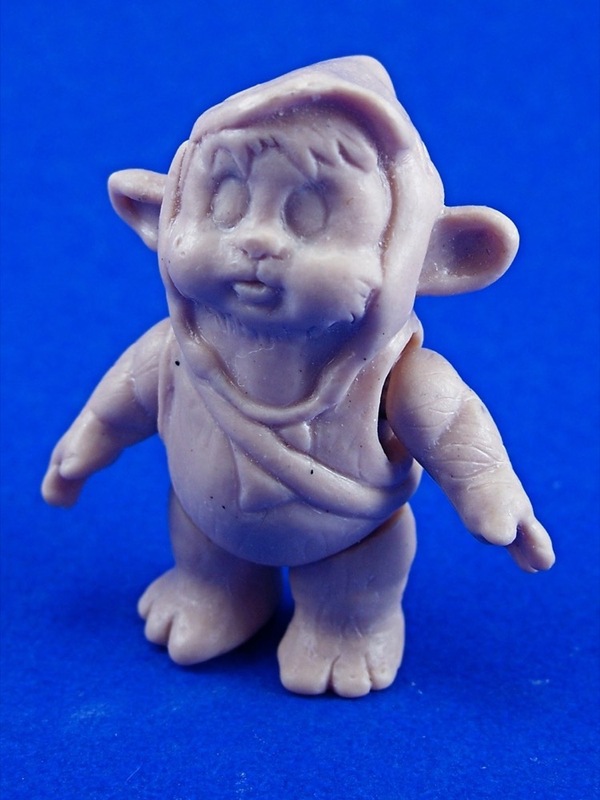 The cartoon Teebo was a poet who wore a cowl that made him look like a hairy Keebler elf. In case you're wondering, "poet" is Ewokese for "wuss." 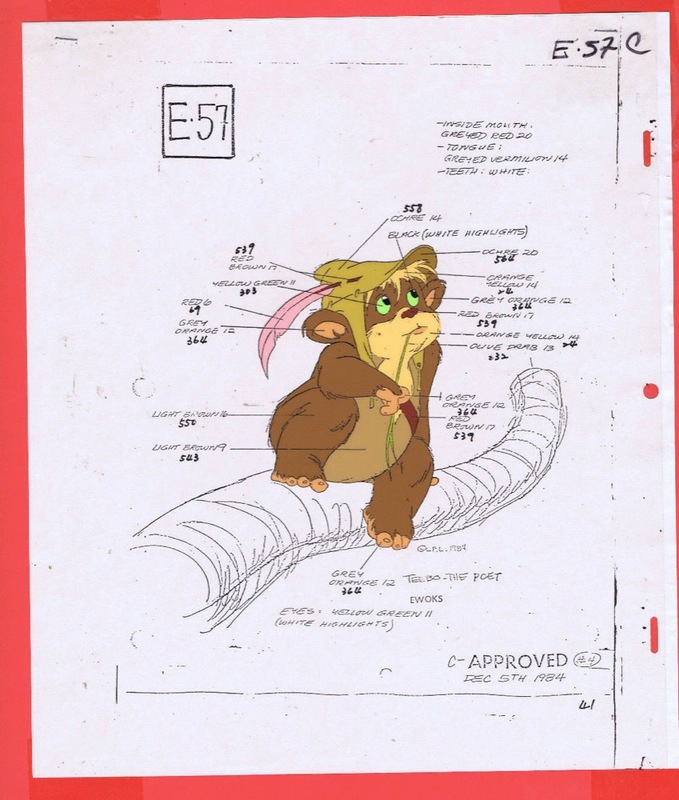 The figure pictured at the top of the page, an early prototype for a Teebo action figure that was never released, closely matches the character seen on the above model cel, created for reference by the animators at Nelvana. As you may have guessed, this and the similar figures representing Latara, Kaink, and Kneesaa are composed of wax of the kind used by toy creators to sculpt action figures. However, they differ in notable ways from finished pieces of three-dimensional toy art.